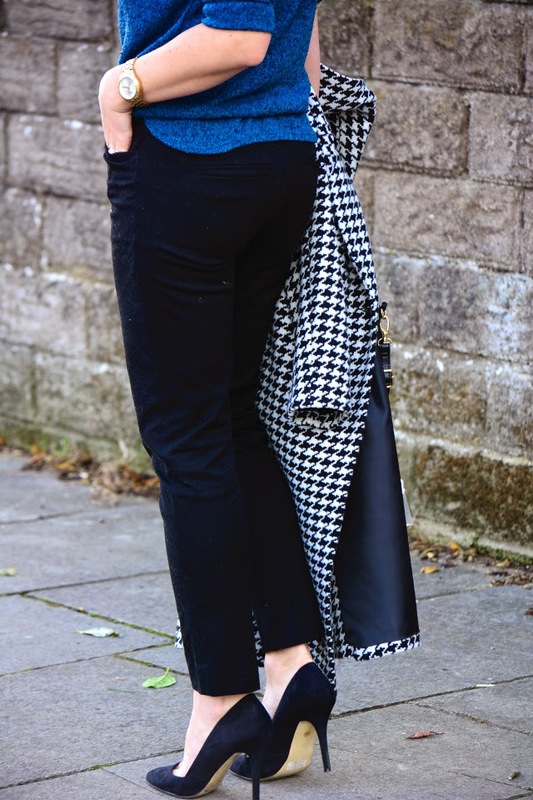 Ahh houndstooth coat, i bought you and then had no idea how to style you. I know it’s a coat and therefore outerwear, so really it doesn’t need to go with the outfit underneath, call it style-ocd, but i like my coat to match my outfit. Which can be annoying and a little fussy, but it’s my thing and i’m ok with it. Back to the coat, it is a recent Primark purchase after deciding i obviously didn’t have enough coats in my life and there was a space in my coat loving heart for another (i have a big heart, what can i say;) I tried on a few but nothing felt right, infact they all pretty much looked like i had borrowed it from lost and found, the sleeves were mostly too long, the shoulders were to big and the length wasn’t right, making me look like lil orphan Annie,lol! After quite a few coats i settled on this one. But i’m just not sure. I guess it was a rushed purchase and something still doesn’t feel quite right with it. 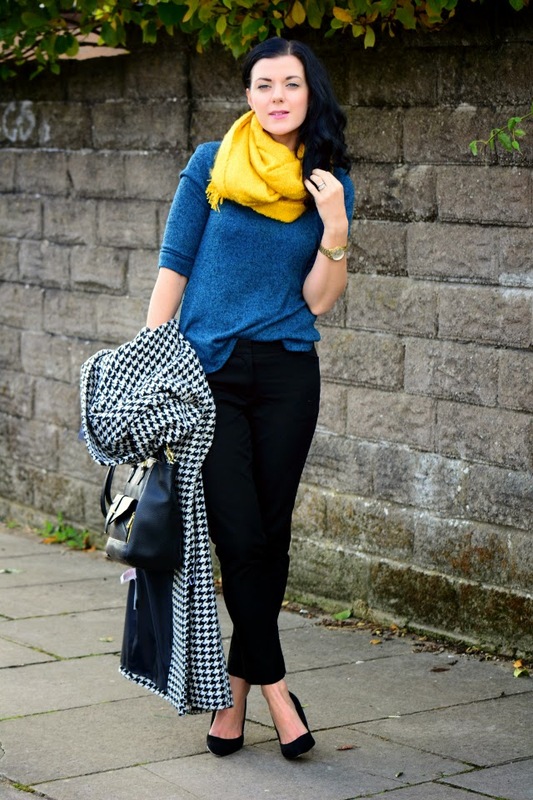 Teal and mustard what a great autumn combo. I absolutely love the contrast between these two colours. 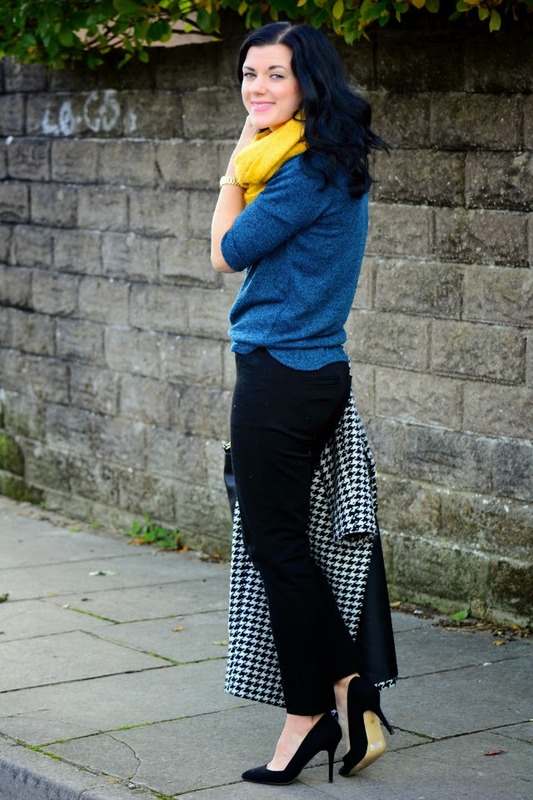 I am now on the look out for more teal and mustard combinations. Is it a colour scheme you would try? 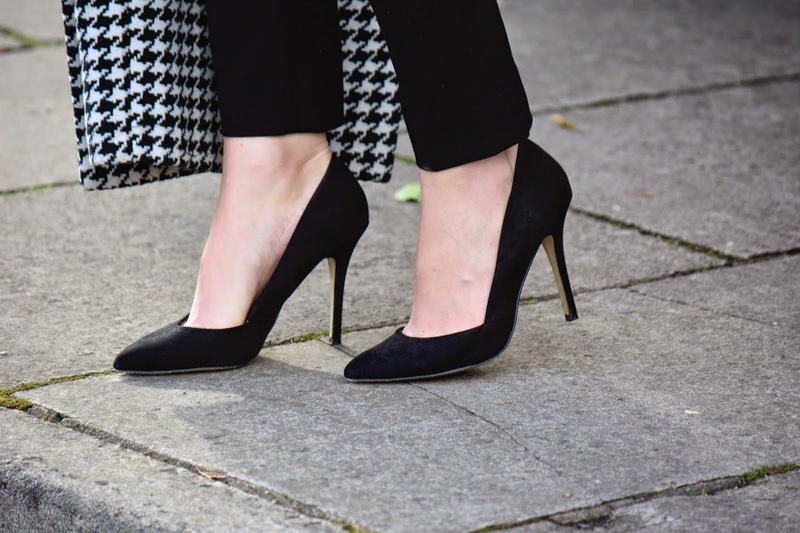 As for the shoes, as it is Shoetober, i went for the classic pointed black heel. The shoe every lady should have in their show armoury. The goes with everything, always chic, will never be out of fashion perfect shoe. I’ve had these simple matalan beauties for over a year and i have to say they are still a complete go-to shoe for me. Don’t forget it’s Shoetober all month and this weeks AMAZING giveaway is for Shoetique. Be sure to go enter to win a pair of shoes of your choice! Yep ANY pair from their website, you lucky lucky ladies! Perfect! This combination is wonderful and suits you so well. 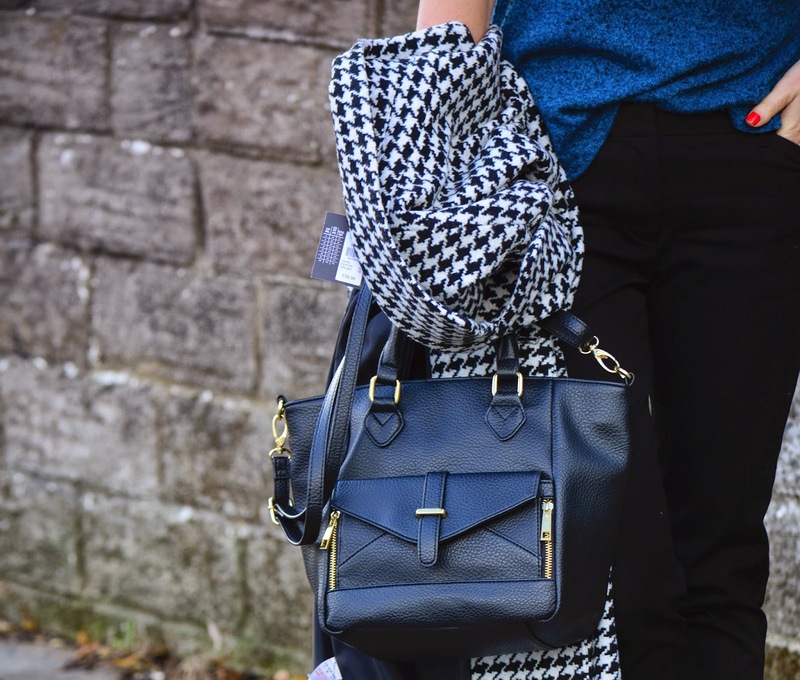 I love this color combo with the striking houndstooth jacket. I might try for my coloring a pumplin or rust cardi or sweater with an olive scarf or top underneath. I love the pants and heels you have on as well. I like it. You should keep it. I love the yellow and blue with it. Red would be nice too and you look lovely in red as well. I really like it, but if you have not taken the tags off and are undecided it may not be the coat for you. I love the combo you have here and houndstooth with any vibrant colour is awesome and you do vibrant so well, I say go back and get the pink one…. I love the coat and the color combo! 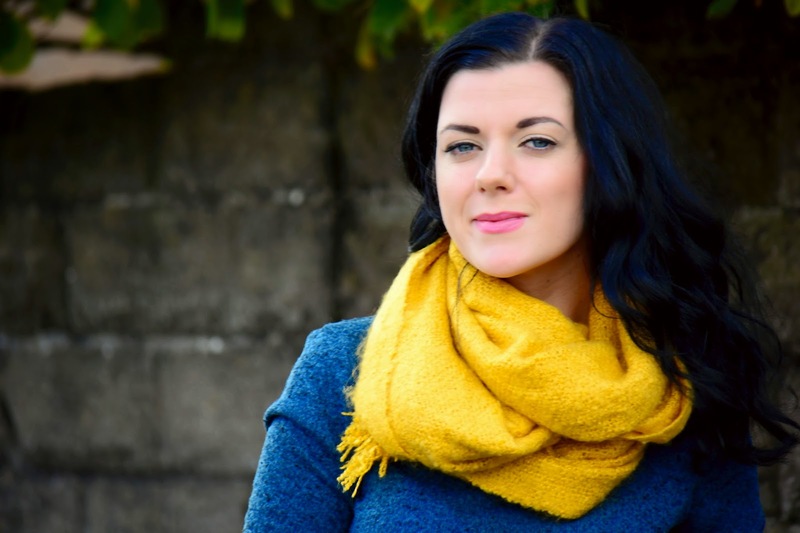 This sweater pairs so nicely with your coloring and the yellow scarf. 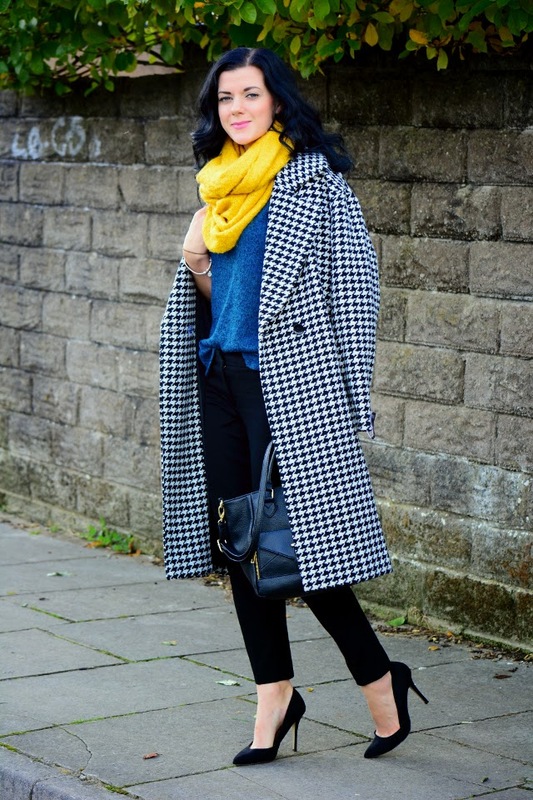 And need for warmth will help make you find ways to style this fun coat! Definitely a keeper, it looks fabulous. And perfect now the weather has that chill in the air. YES this is a colour combo I would try and I love how you match your coat to your outfit and wear it over your shoulders (chicness over load). 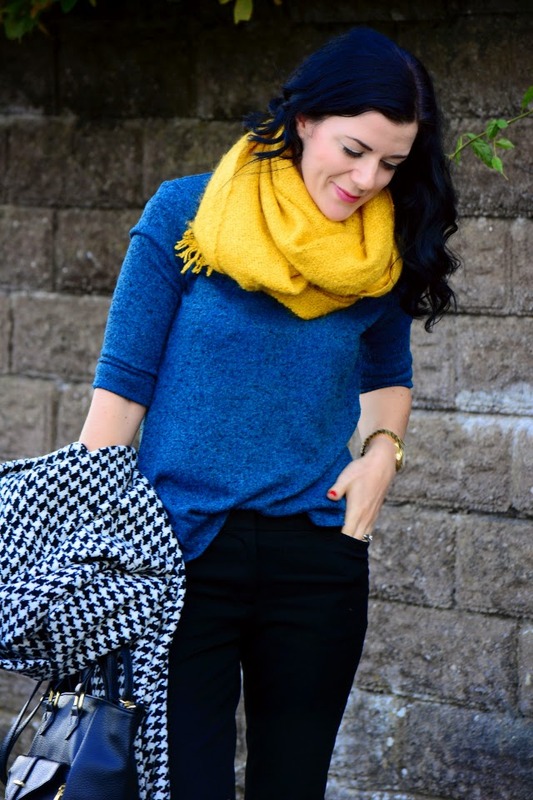 I only have a few houndstooth items even though they are back for this winter in a big way. A girlfriend of mine has a very similar coat and she can through it over anything and look ready for a date night. I love the coat! 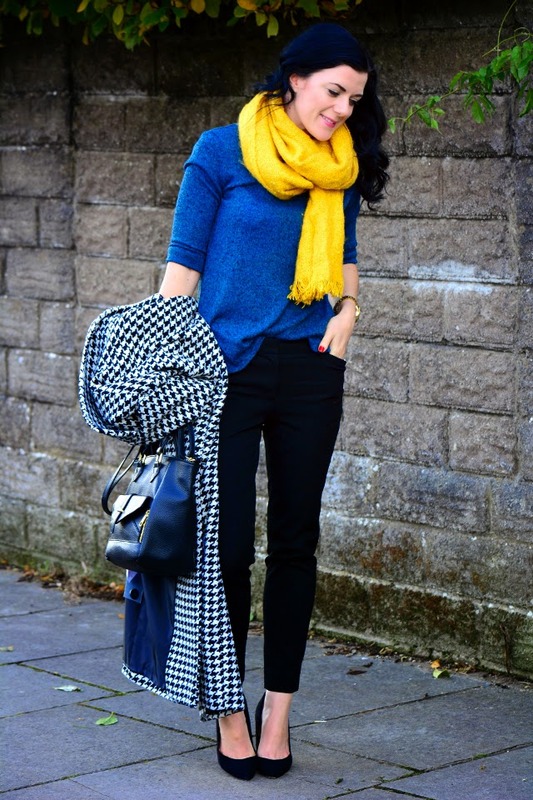 I really like the yellow scarf with the blue and black! 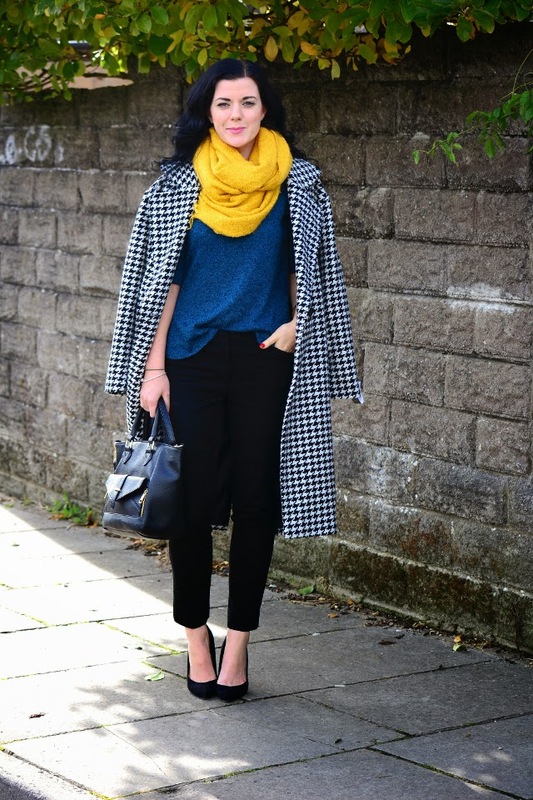 I think this jacket looks fantastic on you & love how you styled it with the teal and mustard!! Very chic. love how posh this look is! 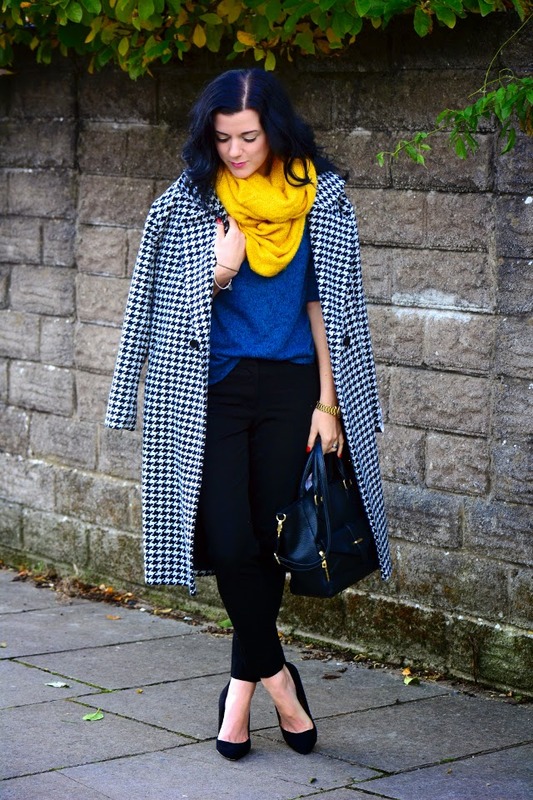 I'm going to have to style some coats this winter!